View the full schedule of mindful yoga, yoga nidra, pregnancy yoga, and mom & baby yoga  as well as class descriptions and location information. The following calendar lists weekly classes at the NDG/Westmount studio located near the Vendome metro. 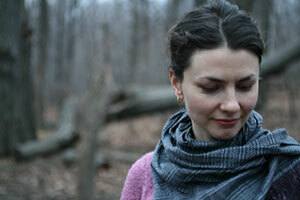 Certain weekend special events at the West Island studio in Pointe-Claire Village. Please visit the registration page for complete information concerning class schedules and how to register, either online or by phone. All of the classes at Yogaspace have limited enrollment to ensure personal attention. Weekly classes have a maximum of 12 people. Clearlight’s Mindful Yoga classes offer a mindful approach to asanas (postures), practical core-strengthening work, balancing breathing exercises, and relaxation with meditation, all to cultivate the many benefits of yoga - including strength, flexibility, calm and overall well-being. 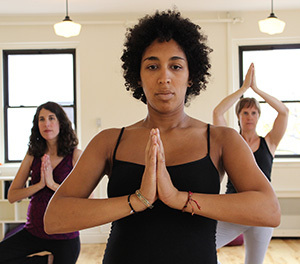 These day and evening classes are a synthesis of Kripalu Hatha Yoga, Pilates-Inspired Bodywork, along with Nondual Wisdom teachings as embodied by BodySensing and Yoga Nidra meditation. 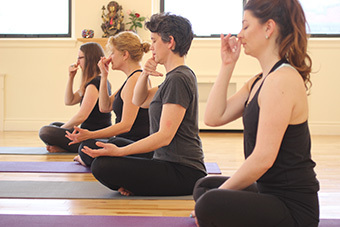 Mindful Yoga supports a wide variety of experiences… some attend to improve the health of their bodies, some to reduce the stress in their lives, some to nourish the spiritual aspect of their life’s journey... and some are drawn to deepen the exploration of Wellbeing that emerges from practice. Pregnancy yoga provides a safe and supportive context for pregnant women to come together  sharing in a practice designed to promote optimal health and wellness for both mom and growing baby. These yoga classes are specifically designed to support a more comfortable and healthy pregnancy, and to prepare for labour with special practices of movement, breathing and meditative techniques. 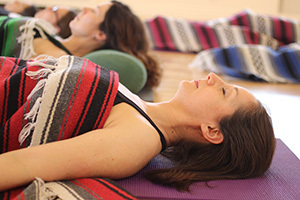 The focus of the classes is three-fold: movements for ease and endurance during pregnancy; breathing to relax and focus the body-mind; and essential techniques to help stay focused, empowered, and flexible during labour. The Couples Workshop is an opportunity for expectant parents to prepare for labour and childbirth together. During the afternoon, couples learn and practice movements, breathing and relaxation in order to cultivate a greater understanding, enjoyment and confidence in pregnancy, labour and childbirth. Open to babies 2 months to 8 months or crawling. 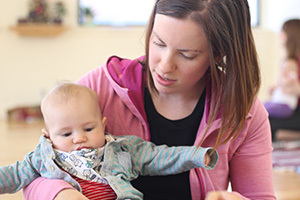 Mom & baby yoga classes provide an opportunity for you to regain strength and flexibility, to bond with your baby in an enjoyable activity and to make friends with other moms. The focus of the class is on movements and breathing specifically tailored for new moms. The babies benefit from the bonding time with mom, baby massages and the stimulating environment of new baby friends! Special attention is placed on developing core strength and stability  involving a particular emphasis on strengthening the back, abdomen and pelvic floor, as well as relieving tension in areas such as the neck, shoulders and back. Participants are guided into the deepest levels of relaxation and meditation while remaining alert and aware. Practiced to deeply relax and eliminate stress; to promote healing and to rediscover a greater sense of wholeness and balance that is naturally ours. Everyone can practice yoga nidra. These personalized sessions are designed to meet individual needs. 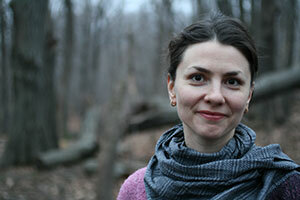 Sessions are offered in therapeutic yoga, iRest Yoga Nidra meditation and in private childbirth preparation. Yogaspace classes are held at its location inside of the Queen Elizabeth Health Complex in NDG/Westmount, 2100 ave Marlowe, near metro Vendome. Pregnancy yoga and childbirth classes, Yoga with Baby, Mindful Yoga and Yoga Nidra classes - all with Clearlight - are offered here.